Clog is your ideal shoe for running errands or relaxing around the house. SAS CoolSTEP™ foot bed keeps your foot dry and comfortable all day long. 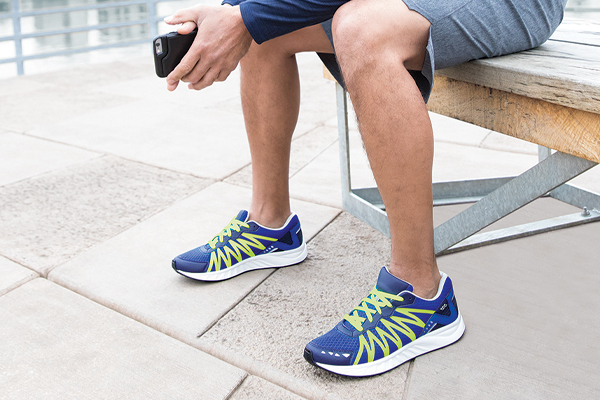 SAS Tripad® Technology and SAS Cradlefit™ heel keep you completely supported throughout your routine. Try Clog and experience comfort and support that keeps up with your day. Designed to fit and mold to the shape of your foot. Made on an exclusive SAS foot shaped last. SAS Tripad® Technology provides long-lasting all day comfort. Initial fit should be wide enough to stay very comfortable across the ball of the foot yet roomy enough in the front so the toes are not cramped. The heel should fit gently inside the heel area and be cushioned by the collar while walking.